In addition to faculty housing, some Chapman real estate investments turn into offices for different departments and faculty members. Photo by Hanna Yorke. Long-time Old Towne Orange residents tend to be frustrated with Chapman University. Their neighbor, they complain, buys up all of the real estate in the area, always has construction underway and disrupts the culture of the historic city. Don’t get them started on parking. 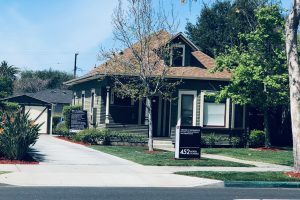 However, Chapman’s presence in Old Towne Orange has proved a boon to the real estate market and development, according to Dean O’Dell, Seven Gables real estate agent. Thanks to the demand for rental housing, by students who live off campus, the rental market is highly competitive, and occupancy rates are stable. While many Old Towne Orange residents dislike the university’s ongoing expansion and renovation, the city has also improved aesthetically because of Chapman, O’Dell said. “Old Towne Orange didn’t look like this 25 years ago,” O’Dell said. 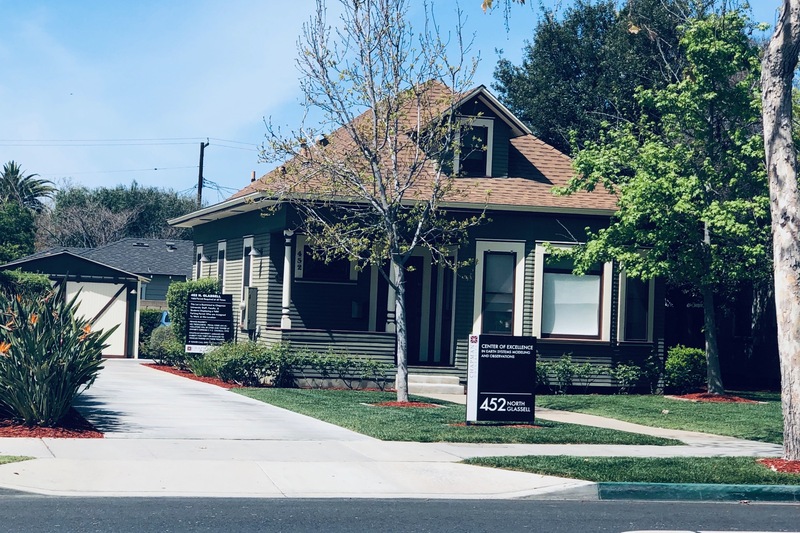 Chapman continually expands its real estate portfolio by purchasing nearby homes for staff and faculty to rent, according to Linda Padilla-Smyth, director of real estate and property management. Chapman doesn’t seek out properties, but instead, realtors and brokers approach the university with listings they think may interest the institution, Padilla-Smyth said. Properties purchased by Chapman are usually located on Glassell, Palm and Walnut to ensure walking distance to campus. Photo by Hanna Yorke. You know that old saying that the three most important qualities of real estate are location, location, location? 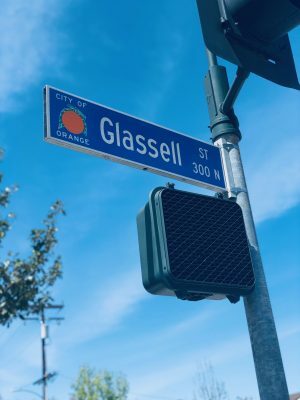 That goes triple for the university, which typically purchases properties on Glassell, Walnut or Palm to ensure homes will be within walking distance to campus, Padilla-Smyth said. Because Chapman is always a potential buyer, a home close to campus typically means a higher cost, O’Dell said. Other locations, such as the Orange Circle or popular restaurants, also tend to drive up the prices of homes, according to Paulo Prietto, Chapman alumnus and Compass real estate agent. After reviewing the parameters of the property, such as the location, square footage and the floor plan, Chapman must get an appraisal. Both the appraisal and the purchase price must be approved by the board of directors, Padilla-Smyth said. There is no specific budget set in place for real estate investments, but Chapman must pay fair market value for all properties. “Chapman definitely pays fair market value, or even above it,” O’Dell said. But what is good for Chapman isn’t always great for the neighbors, particularly those dependent on affordable housing and who say they, and their children, are being forced out. One victim of “the Chapman effect,” ironically enough, is Linda Mueller, administrative assistant of Chapman’s Fish Interfaith Center. Mueller rents a home near campus, and her landlord has been incrementally increasing her rent over the past few years. Mueller is being kicked out of the house at the end of her lease. Her landlord plans to remodel the house and rent it out to students for double what she pays, she said. Taking on roommates could solve the problem, but roommates are not ideal for people in their 40s, 50s and 60s, Mueller added. Although Chapman’s faculty housing was a thought for Mueller, she quickly realized that the rental prices of faculty houses reflect the pricey tuition of the university. If Mueller’s search for affordable house continues to be unsuccessful, she may have to quit her job, she said. She will be forced to move far from Old Towne Orange in search of a place that won’t bankrupt her. The cost of local real estate “has just gotten out of control,” Mueller said. The median price of homes in Orange rose from in $397,000 in January 2012 to $700,000 in July 2018, according to market trends on trulia.com. Chapman’s real estate investments totaled $52,982,000 as of May 31, 2018, according to Chapman’s Consolidated Financial Statements. The statement does not specify how much of the investments are attributed to homes purchased for staff housing and other purposes. The condition of the house is considered, but Chapman remodels almost all properties purchased. “We find that our standard is pretty high, and we really like to provide quality housing to our staff and faculty,” Padilla-Smyth said. Yes, the neighborhood changes with the encroachment of Chapman offices in once diverse blocks, but “the area continues to get nicer and improve because of the university, so it’s a tradeoff,” O’Dell said. “There are pros and cons to everything, but the way I view it is, the school is doing a lot to improve the area,” Prietto said. Many homes in Orange are duplexes, which makes them ideal for investment properties. Photo by Hanna Yorke. Real estate investors are particular beneficiaries of the Chapman effect, riding the tails of escalating prices in Old Towne Orange. Chapman students seeking rooms and houses “keeps rents stable, keeps demand high and makes for a fairly safe investment. You won’t struggle with vacancy too much, except maybe during the summer months,” Prietto said. “We live in a desirable state, in a desirable county, in a desirable city, so all of those factors add to the competitive nature of the rental market,” Prietto said. Extra pressure is put on housing prices by the affluent parents of Chapman students, who may buy “investment properties” initially occupied by their children. “My mom bought a house, both for me to live in and as an investment property,” said Lauren Stevens, junior strategic and corporate communications major. Stevens struggled to find a place to live her sophomore year, so buying a home in Orange was her mother’s way of ridding her the stress of house hunting. Stevens’s mother owns over 10 properties. She remodels the properties and then rents them out through Airbnb, an online marketplace for consumers to arrange lodging, homestays or tourism experiences. When Stevens is living back home for the summer, her mother lists the house on Airbnb. After Stevens graduates, her mother plans to rent the property to Chapman students. 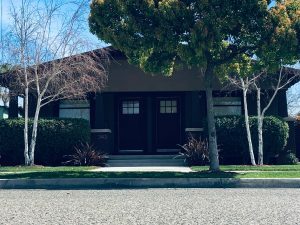 “My landlord is the father of a Chapman alumna, and he has continued renting out our house to college students since his daughter graduated years ago,” said Cassie White, a junior business major. Because his daughter went to Chapman, he understands the needs and preferences of college students more than other landlords, White said. “As long as your tenants are respectful of the property and the neighborhood, it’s seems like a pretty low-risk, low-maintenance investment,” White said. 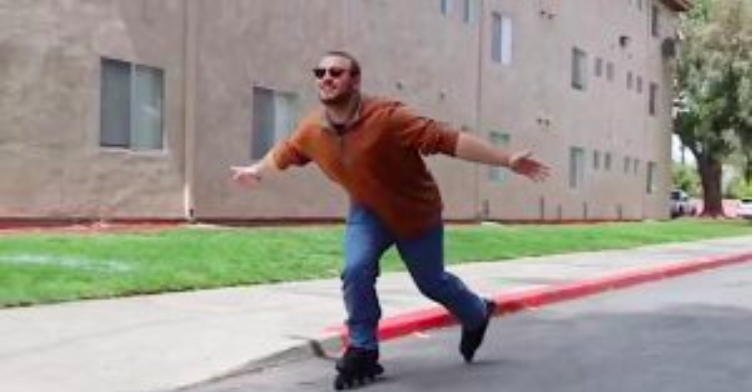 “You really don’t even have to worry about vacancy, because most students find new tenants amongst their friend groups, which allows for a seamless transition and little to no work for the property owner,” she added. Of course, those friends tend to come with cars. Parking is another problem when you try to cram six students into a single-family home, White said. Non-Chapman residents of Old Towne Orange might be happy to learn that Chapman is building more housing complexes for students. 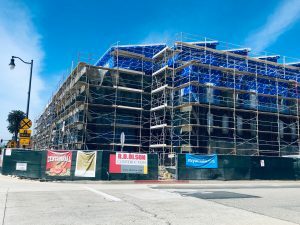 Chapman is currently working on the Villa Park Orchards (VPO) Residential Village which will house about 400 students by next fall, according to a Neighbors of Chapman blog post. This might take some pressures off of the community, O’Dell said, but no one sees housing prices returning to what they were decades ago. Chapman nearly always has construction project in the works. Currently, the university is building the VPO Residential Village, located on the corner of Palm and Cypress Street. 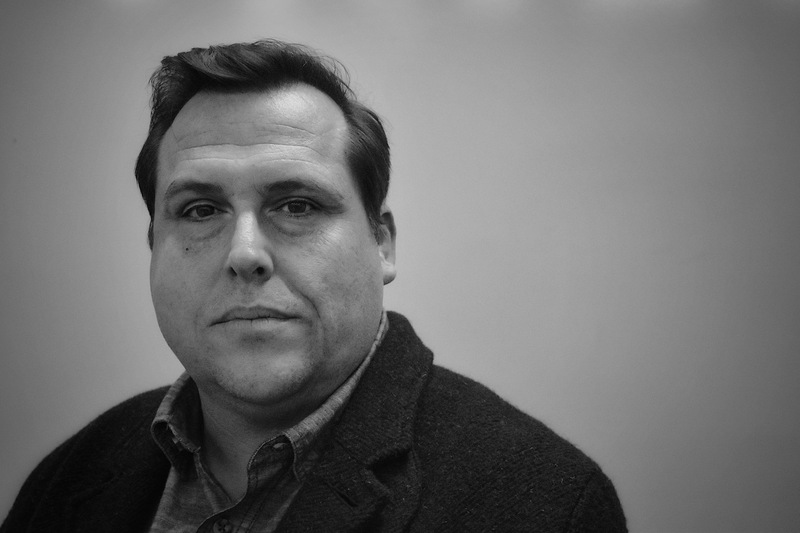 Photo by Hanna Yorke.